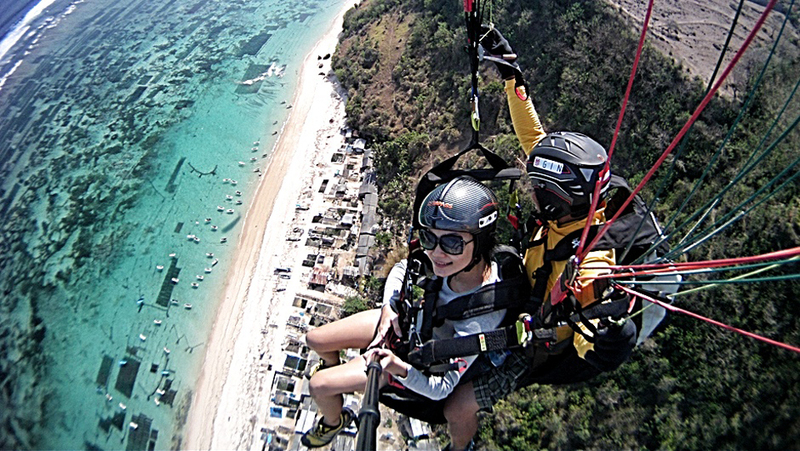 As one of the Extreme Adventure in Bali, Paragliding has become very popular in Bali to discover the beautiful view from the sky in southern area of Bali. You also can share your experience course and Paragliding Tandem with photogrphy and take a capture for every moment you see from the sky. It situated at the Bukit Cliffs, a fully trained instructor accompany you tandem flight high above Bali's most spectacular trip of coastline. Tour available in the afternoon only subject to weather condition. Not suitable for children under 6 years. - Safety equipment for paragliding like helmet and life jacket.